iMacs, and perhaps a Mac Mini - we're pretty sure about iMacs, but Victor still holds out hope for a Mac Mini. Apple TV's service could launch in the first half of 2019. Tim Cook speaks bluntly about the 'data industrial complex' and how data is weaponized with military-efficiency. Victor scares William, who hadn't really thought he was being surveilled. 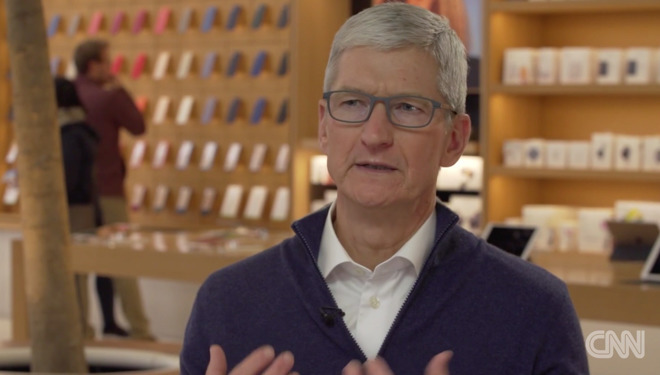 In light of Tim Cook's stance on privacy and securing data, it's understandable why he's calling for a retraction of the Bloomberg Spy Chip story. He calls it "100% a lie", and it's hard to see how he could be any more forceful about it. We hope for 5G in 2019 iPhone but due to limited Carrier availability for 5G, 2020 is more likely. I think 5G and WiFi 6 will come together in iPhones. Why build phone with tech and pay for extra royalty when user can not use such capability in most places. fair point, although rollout starts somewhere. Verizon is doing draft trials in indianapolis. A lot of 'sighing' in this podcast. More than usual. Good episode. I am also waiting patiently for the new Mac Mini.